Do we really have to question why Architects have it little bit of crazy in them…. Not if they went to University at buffalo …. As one of the oldest buildings used by the school, Hayes Hall’s architecture was designed with intentions other than educational. In 1865 the building was erected to house the mentally insane and serve as an almshouse, or poorhouse, for Erie County patients. 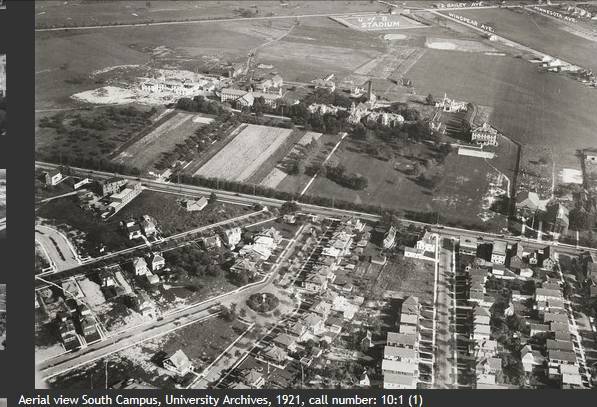 Destitute people, insane inmates, hospitals, and a morgue once occupied the 154-acre spread of land that is now South Campus and other health-related facilities. 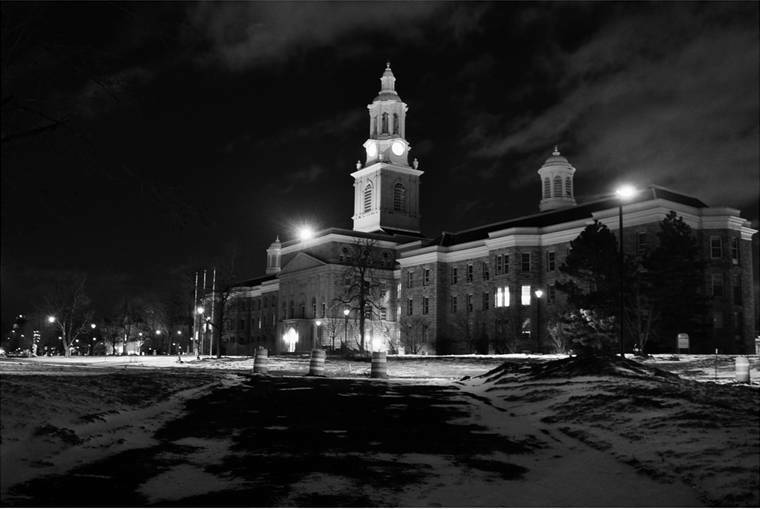 Even the first students to attend UB’s South Campus in 1920 had to share the land with inmates for six years until the mental hospital was finally moved to Alden, New York. The State University of New York Board of Trustees authorized the establishment of the School of Architecture and Planning at the University in 1967. Today, it remains the only School of Architecture and Planning within the SUNY system and offers accredited professional degrees in architecture and urban planning. In 1974 the School of architecture move to its new home on South Campus Occupying Hayes hall and soon its neighbor Crosby Hall. Currently Hayes Hall houses School of Architecture Administration, classrooms, library, and computer lab. 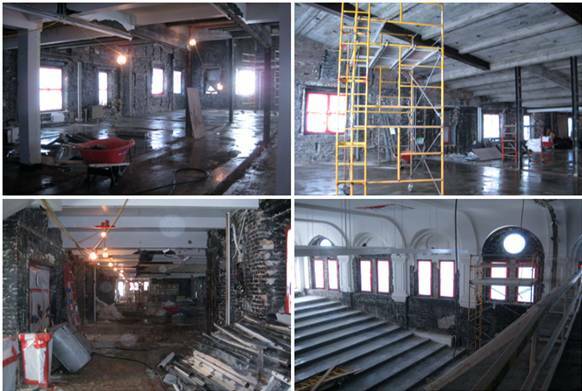 The school is currently doing a major renovation of the building due to be complete in 2014 in which some design studios will be houses in the building as well. The history gets creepier. Parts of South Campus, particularly where Clement and Goodyear dormitories are located (the northern edge of the campus), were used as burial grounds for the hospital’s deceased. The corpses were supposed to be removed when the university bought the property, but many of these graves were unmarked during the cholera outbreaks in the mid-nineteenth century. Apparently the Buffalo Medical Journal claimed that during the cholera epidemic the mental institute tried to hide as many deaths as possible by not recording who died and where they were buried. When workers broke ground in 1964 while constructing Clement and Goodyear Halls, several of these forgotten graves were unearthed exposing a skull, torso, and various other human bones. According to The Buffalo News, in July of 1983 more bones were found in a decaying casket about 300 feet from the first three caskets found in 1964. On July 18, 1994, remains were found on the northeast corner of South Campus, near Bailey Avenue just behind the bus stop. “Every time they do some kind of renovation in that area, they dig up skeletons of the almshouse inmates,” With all these unmarked graves being exhumed and possibly more graves unidentified, it is plausible that much of South Campus is built on top of the old asylum’s cemetery….. Talk about creative energy. ← Buffalo architectural history minute!